Hello everyone! I’m so sorry that I haven’t been posting weekly lately. I’ve been stressed out with term papers, tests, after school commitments, etc. But hopefully the bulk of that will be behind me soon and I’ll be able to blog to my heart’s content! As Saturday just happens to be Pi Day (3/14/15! 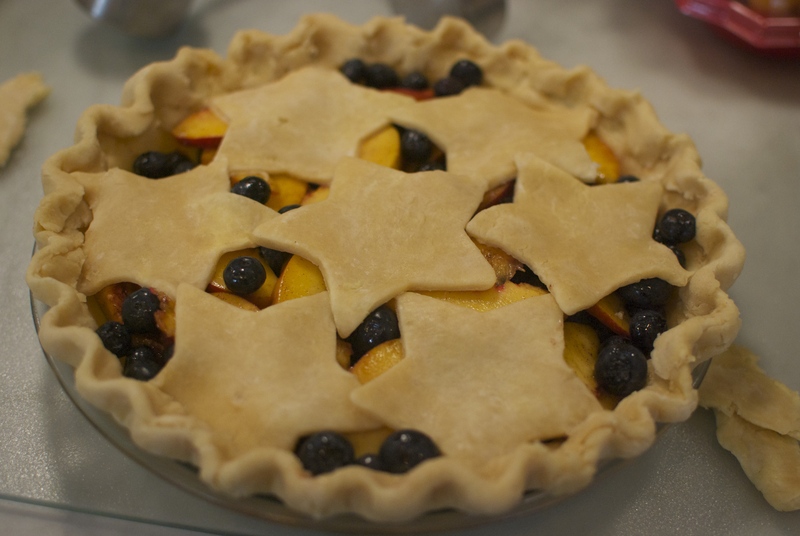 ), I thought I’d share a list of all of the pie recipes I’ve posted to date. We might as well start with the foundation: the crust! 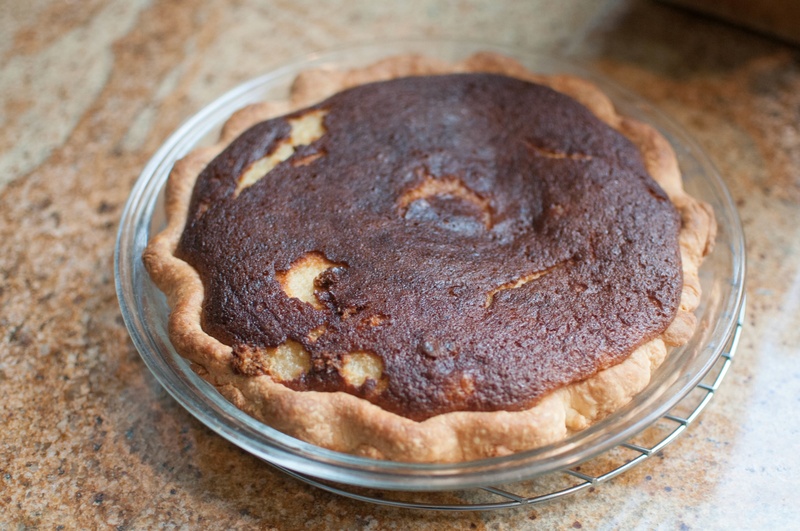 This All-Butter Crust is probably the only pie crust recipe I’ll use. Ever. It’s flaky as can be, with plenty of flavor (from that butter, of course!) And here’s a bonus: It freezes beautifully. You wouldn’t believe how much pie crust I currently have in my freezer. Now on to the pies! If we’re going in chronological order here, we’ll have to start with this Black Bottom Oatmeal Pie. 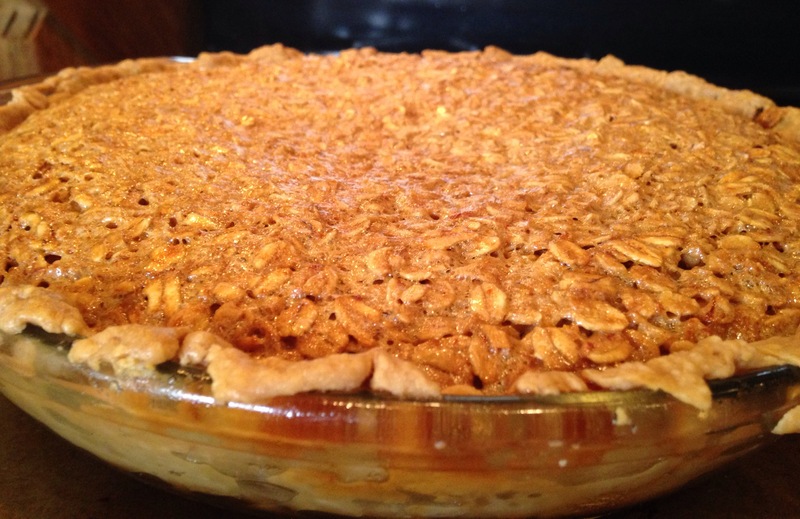 Picture your favorite crust, filled first with a dark chocolate ganache, then with a pecan pie-esque oatmeal filling. I’m getting hungry. Next, this Salty Honey Pie. You may be thinking to yourself What is this strange pie she’s showing us? Salty Honey? Who ever heard of that?? But please, just give this custard pie a try. For me. 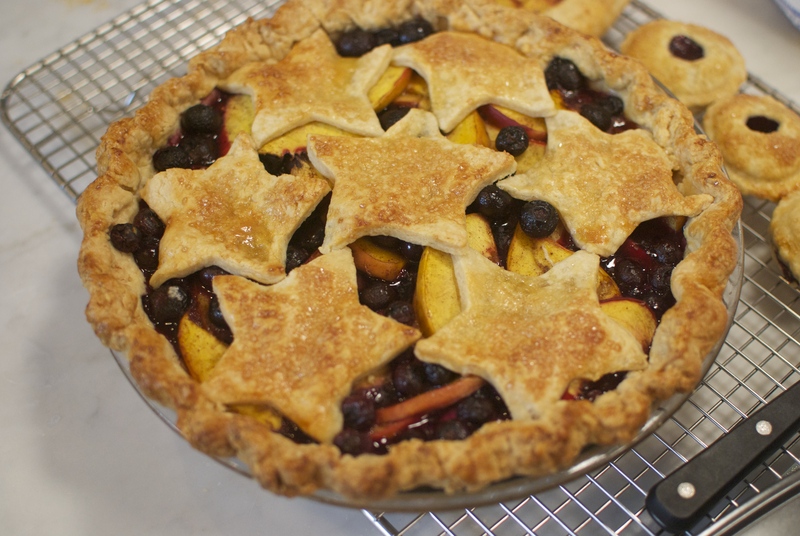 Or, if you don’t try the Salty Honey pie, give this Nectarine Blueberry beauty a go! 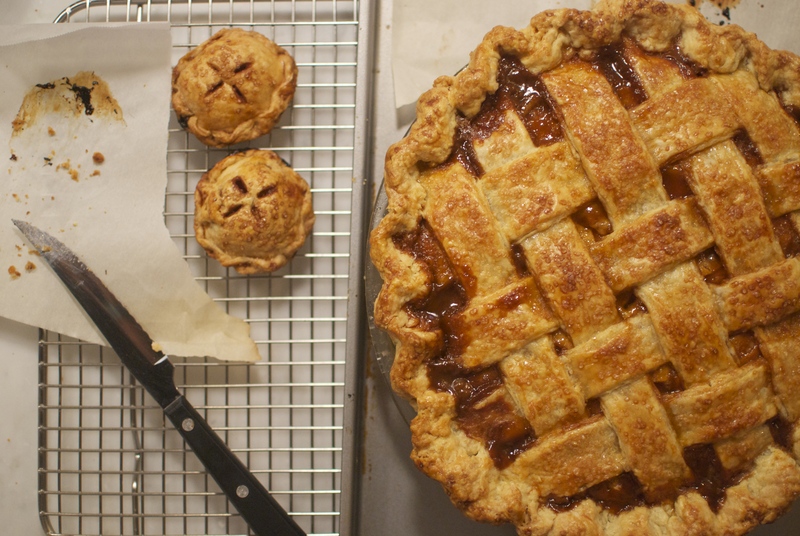 All of the other pies are delicious and wonderful in their own right, but this Salted Caramel Apple pie has got to be my all-time favorite. What’s not to love? Spiced apple slices drizzled in homemade caramel sauce, sprinkled with sea salt and wrapped in a flaky, buttery blanket of crust. The ultimate crowd-pleaser. Have a great Pi Day, and happy nibbling!